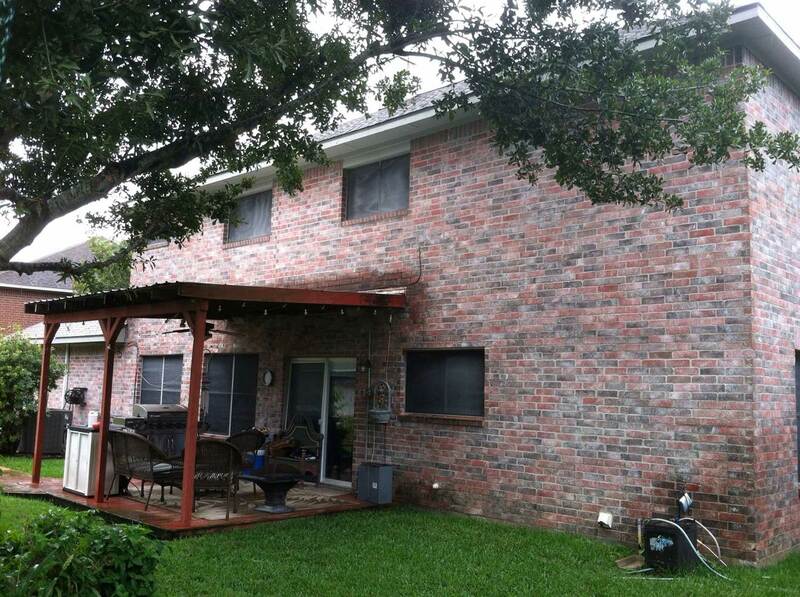 Other Features: Recessed Lighting, Ceiling Fans, Raised Bar, Storage Attic. 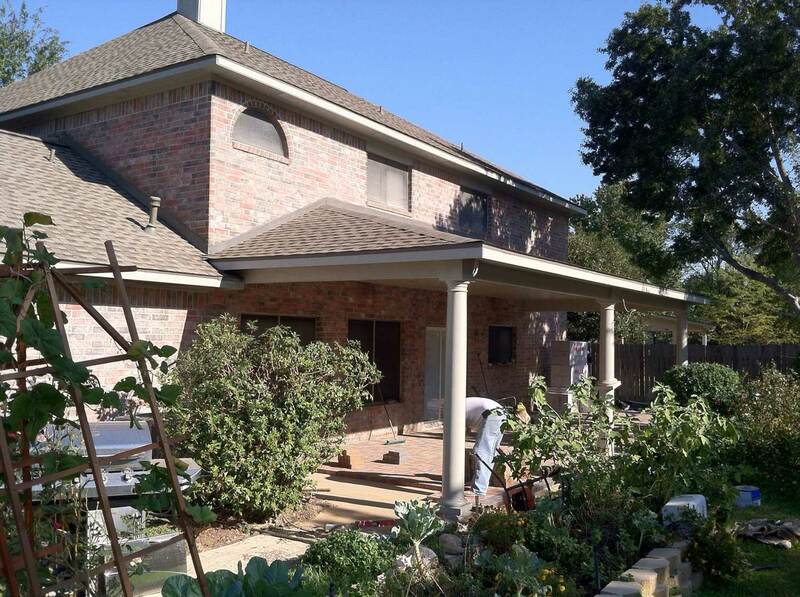 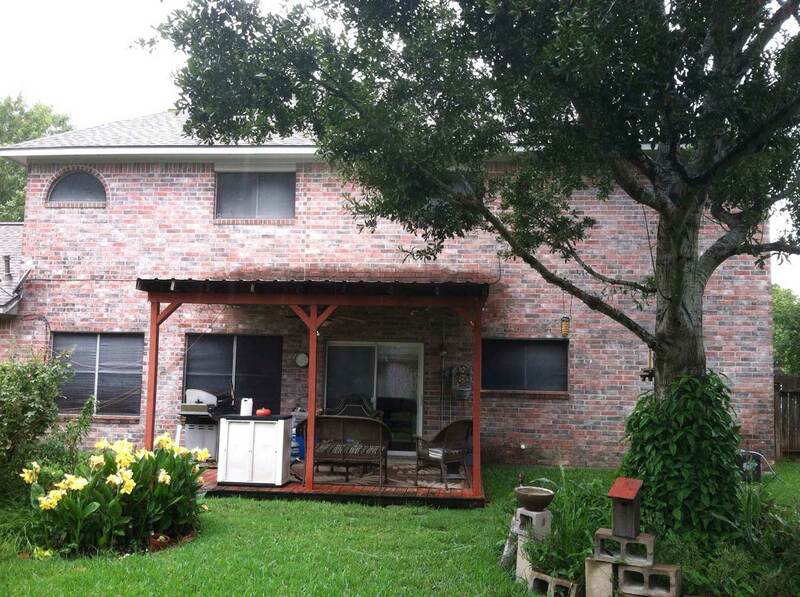 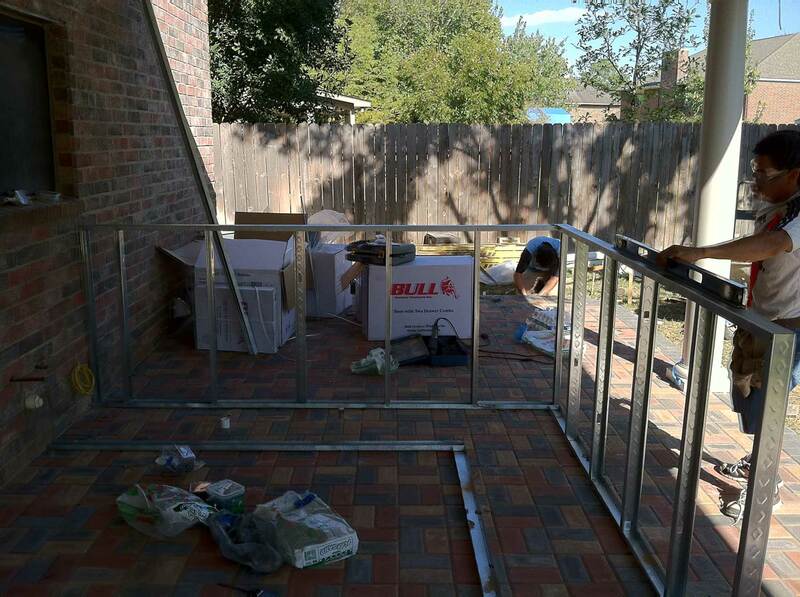 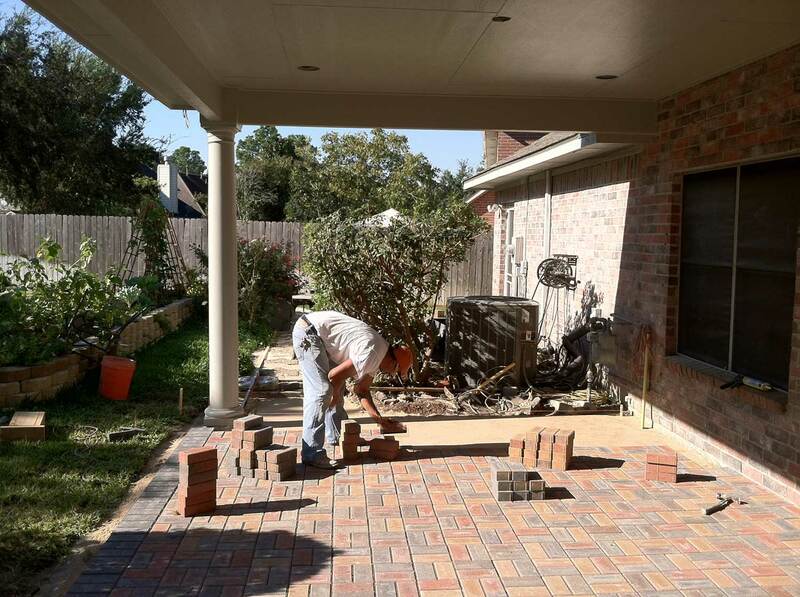 For this customer in Katy, TX we had to remove an existing deck and patio before we could start the project. 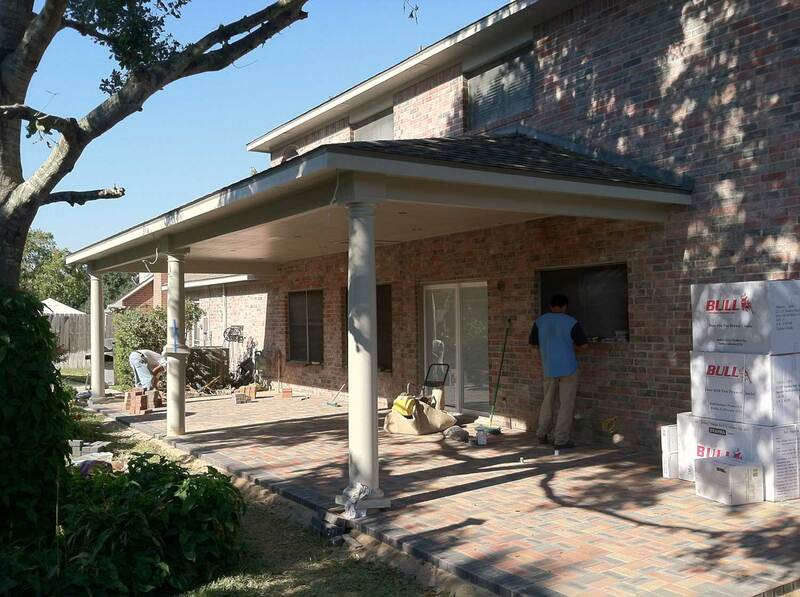 Once that was completed our team of professionals set the foundation for the new patio cover, and the transformation process began! 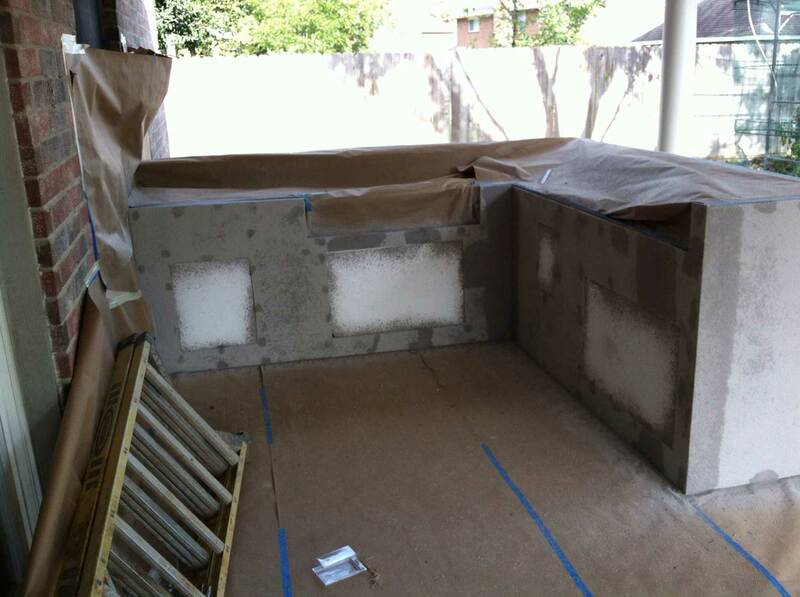 As our work progressed, some features were already starting to show. 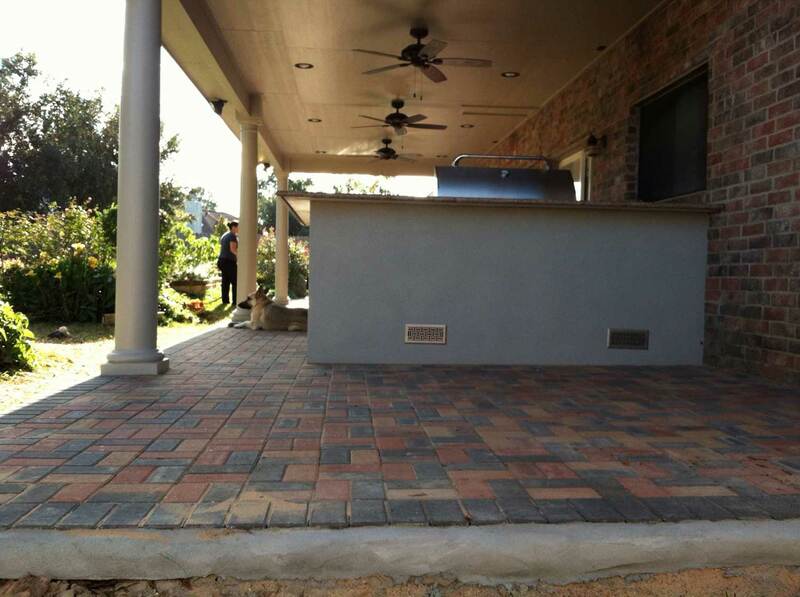 The beautiful pavestone floor was the first thing our customers loved about their new patio cover. 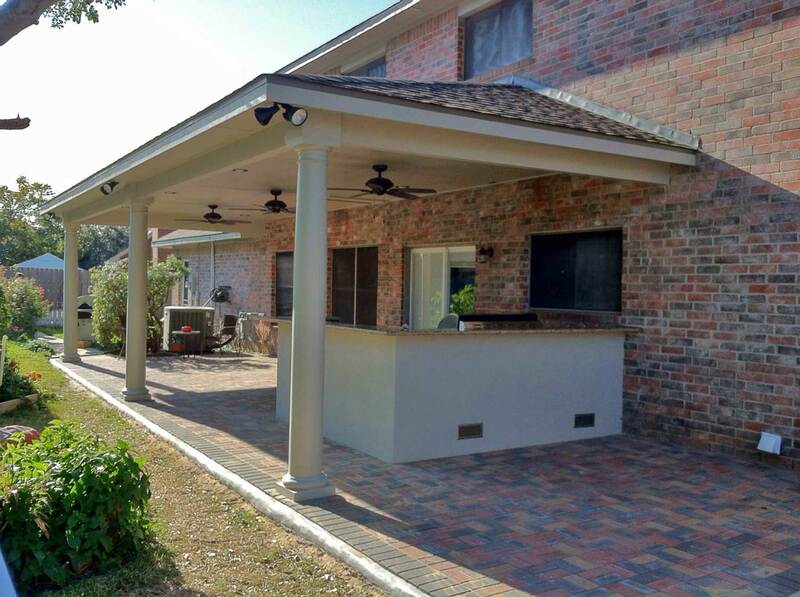 Later, round PermaCast columns with lifetime warranty were added, as well as recessed lighting, ceiling fans, and hardiplank siding. 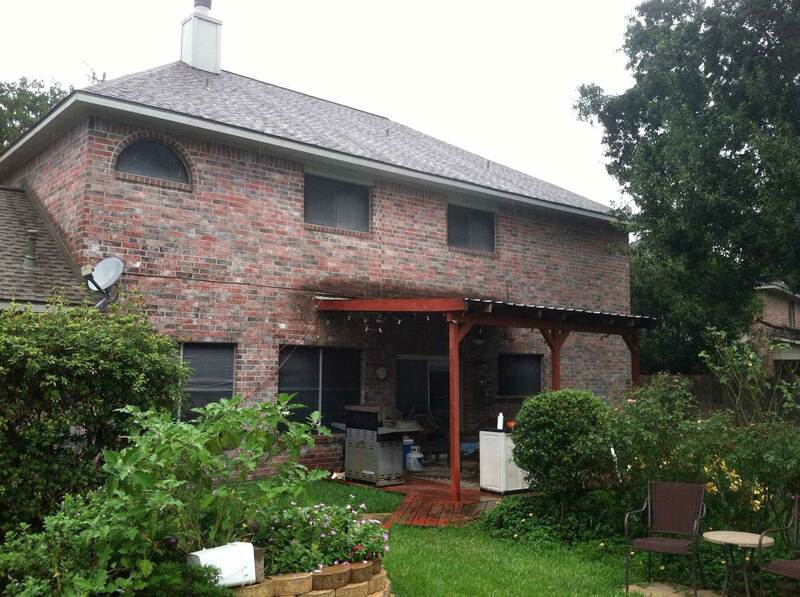 Oh, and let’s not forget about the spacious storage attic that we built in this patio cover, too. 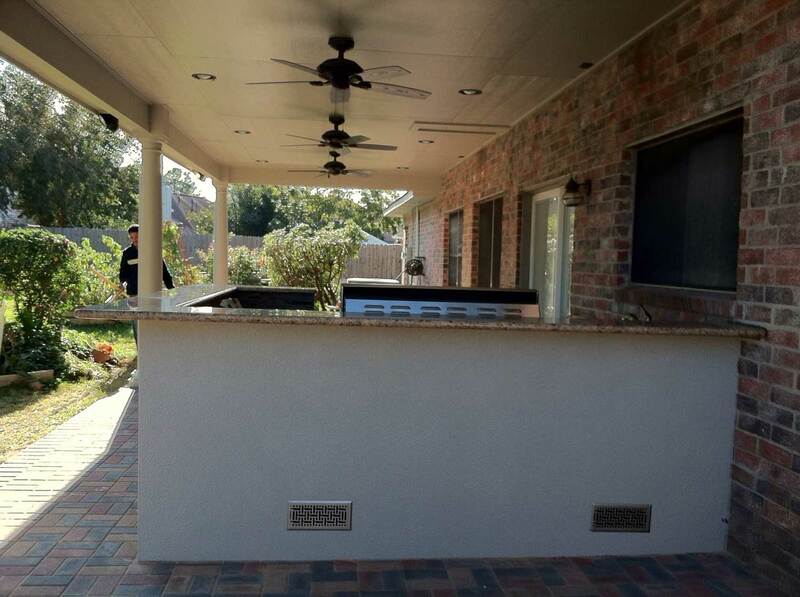 Lastly, we gave this patio cover a beautiful outdoor kitchen, fully equipped with stainless steel appliances, a raised bar, lifetime stucco finish, and granite counter tops. 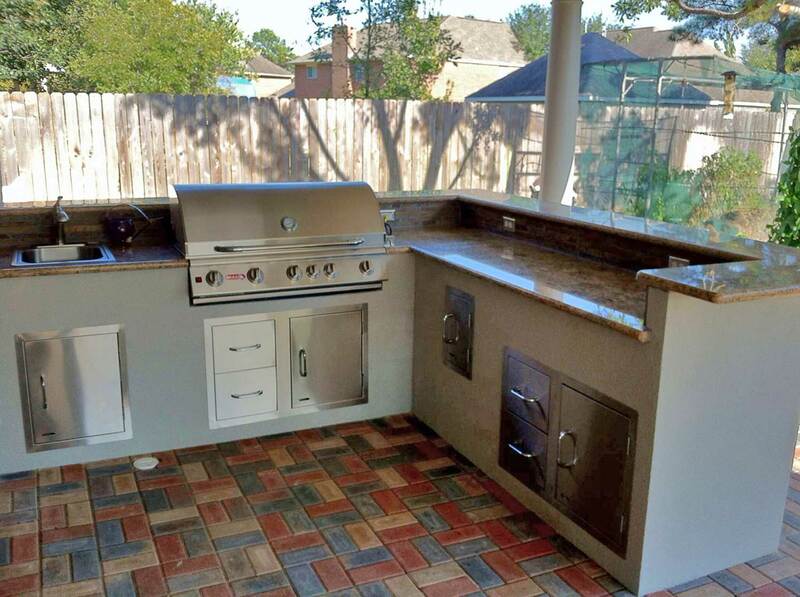 Everything you could expect from a top of the line outdoor kitchen!